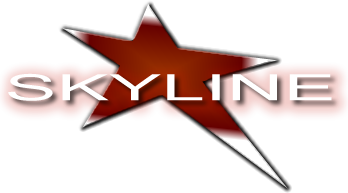 Call Skyline Talent & Events! We can design you holiday event—or any celebration for that matter—including a holiday concert series just for you at your location. We will provide the talent, décor, lights, staging, even refreshments if that’s part of the mix. And we offer contemporary performers as well from Cirque Divas to contemporary-clad carolers, magicians, jugglers, and dance bands. 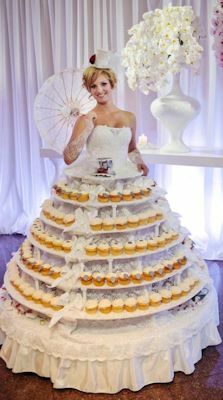 Sweets are always welcome no matter the celebration--whether a wedding reception, Sweet Sixteen Party or holiday event. Our Champagne Diva adds a festive note to any party or event. Many costumes and colors are available. 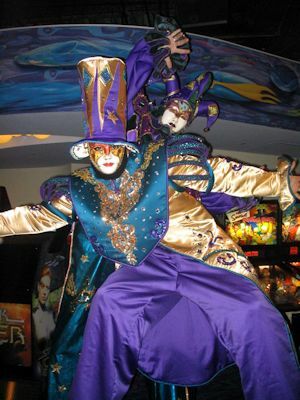 Let Skyline create the perfect blend of color and excitement at your next Mardi Gras party or masked ball. We'll design and produce the show, or provide the talent like this dramatic stilt walker. 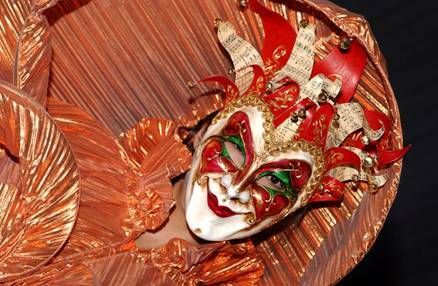 Whether it's Mardi Gras, Halloween, New Years Eve or a Masked Ball, costumed theatrical performers add an aura of mystery and excitement to an event while providing a visual reinforcement of its theme. Our Living Red Carpet sets the stage for elegance at any event. 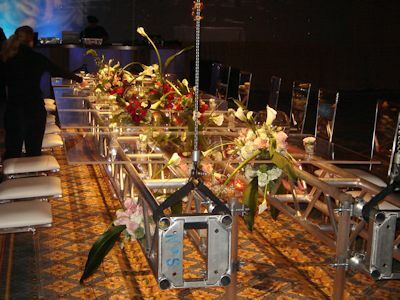 With a train of up to 100 feet long, there's no classier way for guests to enter an event! 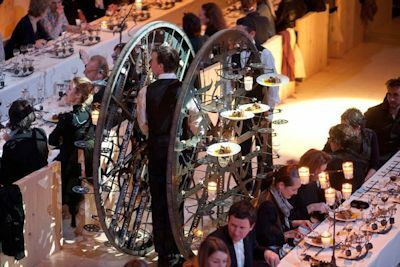 Bring "Tweedles" to your event to add magic. 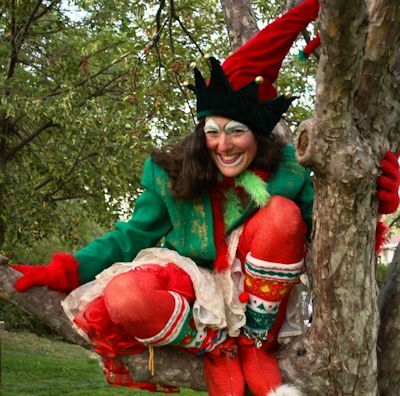 Performed by magician, Erica Sodos, this trained actress will add walk around mischief or a full-blown sleight-of-hand performance to engage all present, young or old!